One of Russia's most renowned literary figures and a Man Booker International Prize nominee, Ludmila Ulitskaya presents what may be her final novel. 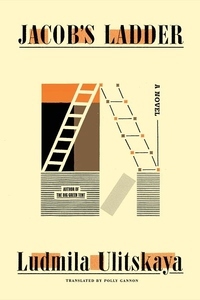 Jacob's Ladder is a family saga spanning a century of recent Russian history--and represents the summation of the author's career, devoted to sharing the absurd and tragic tales of twentieth-century life in her nation. Jumping between the diaries and letters of Jacob Ossetsky in Kiev in the early 1900s and the experiences of his granddaughter Nora in the theatrical world of Moscow in the 1970s and beyond, Jacob's Ladder guides the reader through some of the most turbulent times in the history of Russia and Ukraine, and draws suggestive parallels between historical events of the early twentieth century and those of more recent memory. Spanning the seeming promise of the prerevolutionary years, to the dark Stalinist era, to the corruption and confusion of the present day, Jacob's Ladder is a pageant of romance, betrayal, and memory. With a scale worthy of Tolstoy, it asks how much control any of us have over our lives--and how much is in fact determined by history, by chance, or indeed by the genes passed down by the generations that have preceded us into the world.